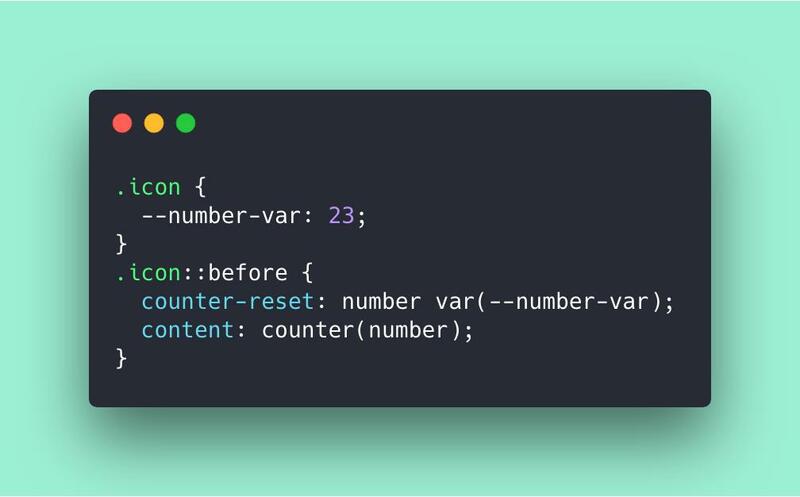 Nice hack by Cassie: she uses counter-reset as a temporary storage space so that the value of a CSS Variable it can be used inside generated content (e.g. with the content property). Turns out you can't do that. ⚠️ Do note that this only works with numbers, as counter-reset only accepts numbers. I think it’s better place to store this kind of information (it is data, after all) and above that you’re not limited to using numbers.